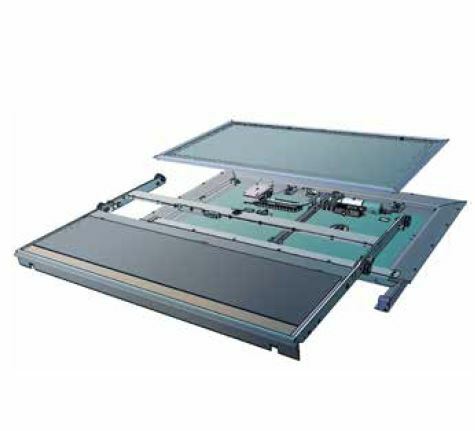 The BISS sliding step systems have a convincingly clear and structured layout of the drive and locking components. 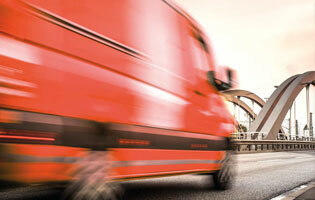 The patented locking concept has proven its everyday practicality, even under the most extreme conditions. 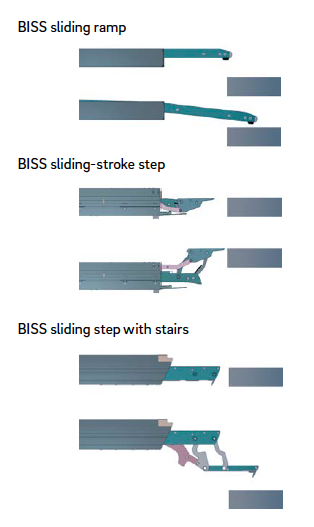 As an interoperability component, the BISS sliding steps are delivered with the required TSI certificate. 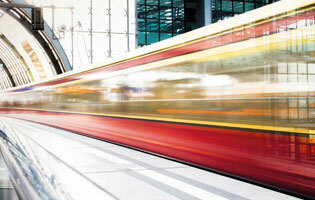 Depending on your requirements, our sliding step systems adapt optimally to the platform edge. 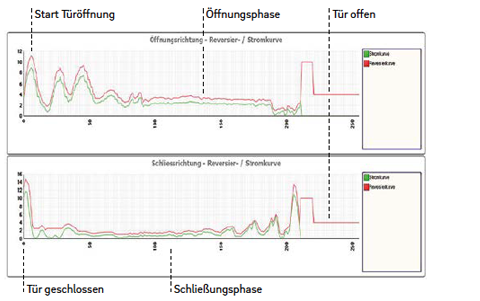 Automatically too, thanks to a sensor for non-contact platform detection. This has been further refined in recent years. 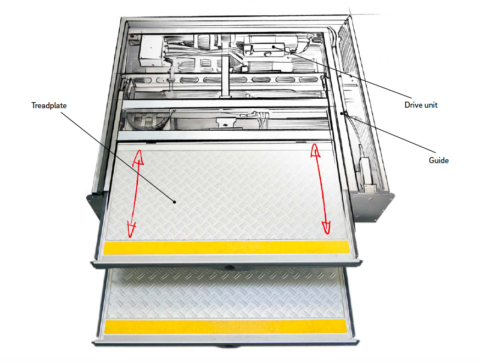 BISS sliding step systems, as single or double step, can be inserted flat into the floor or can be installed underneath the floor through to an underframe step, which is positioned underneath the longitudinal beam of the vehicle. 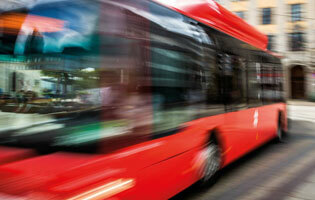 We use our tried and tested modules to put together a suitable system to match your requirements. 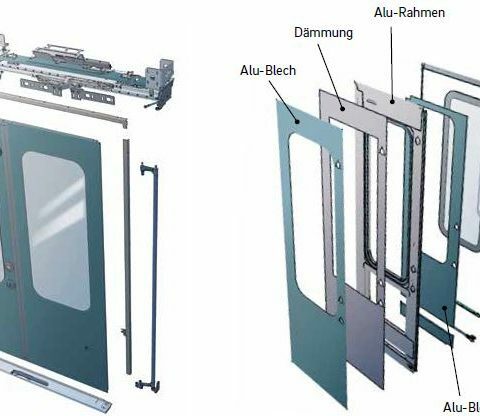 BIDS® - Double panel sliding-plug door systems.